Fusion Landscapes require less water and reduce the impact of flooding. (L-R): Margaret Abernethy, Mike Prong, Jane Davey and Anna van Maris collaborate during the Fusion training session held in November 2017. In partnership with the Region of Peel and the Regional Municipality of York, Landscape Ontario has developed the Fusion Landscape Professional (FLP) certification program. Fusion Landscaping combines the art and science of horticulture with the science of hydrology to design, build, install and maintain aesthetically-pleasing, water-efficient landscapes that optimize lot level stormwater management and enhance the environment. The program has been developed in order to help drive market transformation, making water-efficient, environmentally conscious landscapes the new norm. Many landscape horticulture professionals have been practicing Fusion Landscaping principles for years. However, the program has branded these innovative, environmentally-conscious landscape practices in a way that is marketable to clients. The program covers the science behind Fusion Landscaping, how to sell Fusion landscapes to clients, site inventory, analysis, planning, design, construction, and maintenance considerations. The first FLP training seminar was held Nov. 1-2, 2017 with great success. 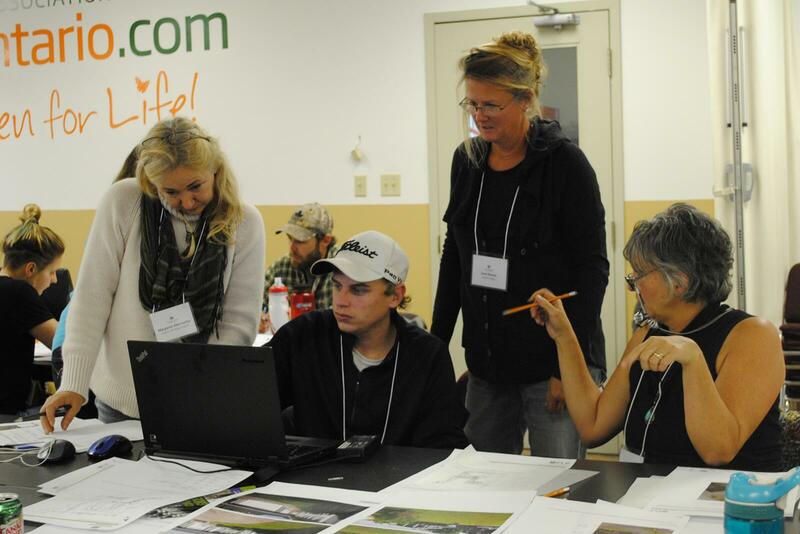 The classroom was filled with passionate professionals, actively practicing and working in at least one of the landscape design, construction and/or maintenance sectors. FLP participant Sean Hayes, president of Clintar Landscape Management Brampton, says he has become increasingly interested in implementing more sustainable water management practices in his construction and maintenance divisions in recent years. However, consumer demand has been sparse. There is an expanding market for Fusion Landscaping and the Regions of Peel and York are supporting its development through market-based programming. These regions have developed marketing campaigns designed to influence consumer habits towards Fusion Landscaping. This marketing support is increasing consumer demand for Fusion landscaping and FLP contractors can benefit from this growing market. The interactive FLP seminar delivered by Credit Valley Conservation in November, inspired creative discussions and innovative ideas that were truly inspiring. The positive impact the landscape horticulture profession can have on our changing environment was very evident. The landscapes we create can provide solutions to the affects of climate change, whether it’s managing stormwater, reducing irrigation requirements during drought, or reducing the urban heat island effect, every landscape horticulture professional has the ability to make a difference. Whether you are looking to grow your business, develop your skills, address municipal requirements, or simply keep up with the latest landscape trends and best practices, becoming a FLP will help you to meet your goals. As a FLP, you will be able to diversify the services you offer, generate a new or expanded revenue stream and stay on trend with the wants and needs of your clients. The next Fusion Landscape Professional certification program training seminar will be held Feb. 27-28, 2018. Landscape Ontario members can apply online at HortTrades.com/fusion. For questions about the program, contact Cassandra Wiesner at 1-800-265-5656, ext. 2397 or fusion@landscapeontario.com.